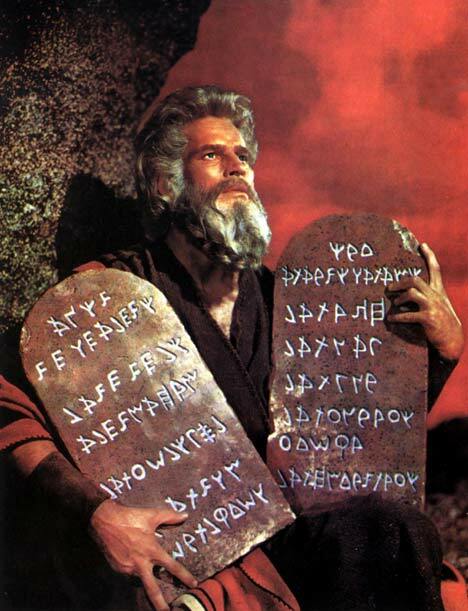 In a recent vote, a school board in an isolated corner of the U.S. state of Virginia decided to re-install the Ten Commandments of the Judeo-Christian faith tradition. However, no effort has been made by the school board to incorporate the tenets of any other faith group represented in the school. 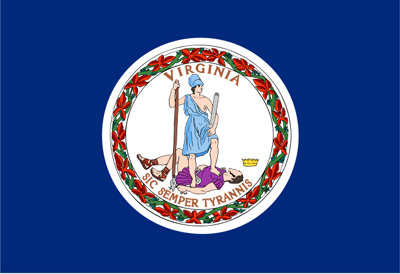 The situation in Virginia is just one of many in which the local governments of remote pockets of the U.S. have ostensibly violated the Establishment Clause of the First Amendment to the U.S. Constitution. The five-member Giles County School Board voted unanimously to repost the biblical text, which is framed and stands four feet tall, after parents and ministers who adhere to the Christian religion complained about its removal. Perhaps ironically, the text had been posted side-by-side with the U.S. Constitution, but was replaced last December with an historical one—the U.S. Declaration of Independence, which marks the country’s secession from the British Empire. The Constitution and Declaration sat side-by-side until 20 January, when the school board reversed its decision under pressure from the Christians, who insisted, states the Associated Press, that the school board “had a moral obligation to reinforce God’s teachings”. Superintendent Terry Arbogast reported that the board based its decision on this sentiment from community members: “The board, after hearing comments from some members in our community, felt it was the right thing to do”. Apparently, such sentiment took precedence over legal counsel in the board’s decision. After receiving complaints from the Freedom from Religion Foundation, the board was advised by its attorney to remove the text in compliance with the Constitution, but the re-installation took place despite this admonition. Anne Laurie Gaylor, co-president of the Foundation, expressed her disbelief at the school board’s legal recalcitrance: “For school officials to cave in to public sentiment and knowingly override the law is shockingly disrespectful”. Indeed—this is why democracies operate on the precept of rule of law. Laws are put in place with a purpose, after all. By now ministers and other clergy-members ordained online in the ULC Monastery will be familiar with the various arguments supporting the principle of the separation of church and state, but it is always helpful to re-iterate these for the edification of our new ministers, and to drive the point home once and for all. One argument used by theocrats and their sympathizers to defend religious texts in public schools is that such texts bear historical, and hence scholarly, significance. This argument is, at best, desperate. An historical record is a document which records past events in a systematic way; it may also be defined as the objective and scholarly treatment of past ideas which have shaped the future. The Ten Commandments, or Decalogue, do not fit this description. They neither systematically record past events, nor examine with objective and scholarly motivations past ideas which have shaped the future. Rather, they impose on the reader subjective and personal moral injunctions inspired by a particular theology or supernatural belief. The only thing historical about them is that they have existed and been taught within the context of history—they do not constitute history itself. Another argument theocrats regularly use to defend religious texts in public schools is that Judeo-Christian beliefs are foundational to the governance of the United States. This argument is doubly fallacious, because it is both inaccurate and irrelevant. In its usual form, the argument goes, “Government-funded schools should inculcate Christian precepts in their students, because the government was founded on Christian precepts.” This argument is inaccurate because the U.S. government was not founded on Christian precepts. Former U.S. president John Adams could not have stated this more explicitly than he did in Article 11 of the Treaty of Tripoli, Thomas Jefferson (who inspired James Madison in his drafting of the Bill of Rights) made clear in his Letter to the Danbury Baptists that the purpose of the First Amendment was to “build a wall of separation between church and state”, and there exists no legal dictum in the Constitution which pays homage to any particular religion. All we can say, then, is that some founding fathers practiced religion without intending in any way to legislate it. Furthermore, the above theocratic counter-argument is irrelevant because it is a genetic fallacy. It assumes that Christian precepts should predominate simply because they did originally; it ignores the relevance of present-day context and exigencies. But a thing is not relevant because it is original; it is relevant because it still has constructive value. This brings us to our final refutation. Immediately, theocrats will respond to the last argument with the counter-argument, “The values enshrined in the Ten Commandments are not valuable only to Christians; they are universal human morals. Therefore, they should be displayed in public schools.” This argument is problematic for two reasons: first, not all of the Ten Commandments are morally universal, and, second, if a given commandment is in fact morally universal, then it need not be couched in Christian symbolism, need it? With regard to the first problem, let us consider polyamory. The Ten Commandments condemn polyamory, yet polyamory is an acceptable practice among some consenting adults in the United States. So, no, the belief that polyamory is immoral is not universal, therefore it cannot be shared by everyone. Clearly, then, the government is endorsing a specific religious belief by endorsing a proscription against polyamory. With regard to the second problem, if the prohibition against, say, murder is morally universal (as it should be), it should be represented as morally universal, and not just as morally Christian. Atheists, agnostics, and other non-Christians believe murder is wrong, too, so to imply that it is a specifically Christian principle is insulting and inaccurate, and, besides, it too suggests that the government favors one religion over another. Quite simply, the posting of the Ten Commandments—or any other alienating, discriminatory, and specifically religious text—on public school property, for the purpose of inculcating its values in the students who read them, is inappropriate, unfair, and, arguably, illegal. First, they do not constitute an objectively verifiable historical record or natural phenomenon; second, they do not form the legal foundation of governance in the United States—that would be French Enlightenment philosophy; third, they are not morally universal, or, if they are, should not be monopolized by Christians. We invite you to share your thoughts, either by visiting our nondenominational social network for ministers or Facebook page. What do you think about the Giles County School Board’s decision to re-install the Ten Commandments in public schools?